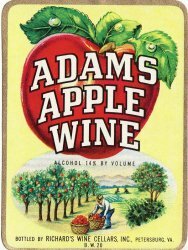 Vintage Adam's Apple Wine Label. Vintage, original, unused label from the 1950s. Image of man picking apples. Richard's Wine Co., Petersburg, Virginia. Vintage Adam's Apple Wine Label. Vintage, original, unused label is 3.5"x 4.75" from the 1950s. 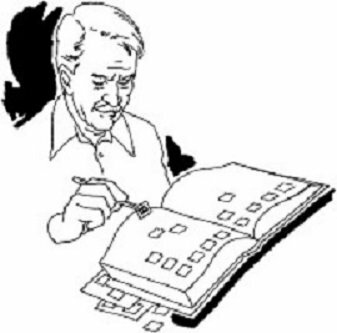 Image of man picking apples. Richard's Wine Co., Petersburg, Virginia.